Creating schedules for hourly paid employees is not an easy task. You must not only ensure the right qualified employee is scheduled at the right location, but you must also ensure that employees who are scheduled to work are actually available to work. Couple this with constant shift changes and adjustments, and managers will find themselves spending more time than they should on creating and updating employee schedules. Like many complicated projects, the first instinct to making this process smoother is to turn to Excel or other spreadsheet creators to keep scheduling intact and organized. Yet, most managers and business owners don’t realize there’s an easier, more affordable way to create and manage employee schedules. Thank goodness we are in the 21st century because technology has created more convenient ways to automate these manual tasks. You probably have your share of stories about employees trying to get time off in the worst ways possible.They may send a message asking for time off in the future, which can easily get lost in the shuffle. Even if printed forms for time-off requests are used, time is still wasted from inputting schedule changes into the system or rearranging schedules based on availability to accommodate employees. Employee scheduling software removes all the hassle caused by requesting time off or making changes. Employees can simply request time off using their smartphones with the Deputy app. These changes are updated instantly, allowing managers full visibility into schedules in real time. You can quickly see employee availability and easily accommodate last-minute requested time off. With the Deputy web interface, users can drag and drop time slots to rearrange schedules. Employees receive instant alerts of schedule changes and updates right on their smartphones. This is perhaps the best part of switching from Excel spreadsheets to employee scheduling software. Most managers can relate to the struggle of having employees call in sick or have a last-minute emergency. On top of managing the storefront, you are faced with calling, texting or emailing every employee to see who is available to come in. Once a shift is filled, managers or owners then must text back employees, notifying them of the shift change. This back and forth manual communication can easily become a full-time job for managers. With an employee scheduling software, team members are empowered to swap shifts and take open shifts (as long as they have the proper training, open hours and meet other criteria) on their own, using their smartphones. Employees who see the open shift will also see once it has been filled, requiring only seconds of your time to simply approve the shift change. Once changes are made, the master schedule is automatically updated, allowing for total accuracy when you sync the time worked into your payroll system. For small business owners, the ability to see the financial performance of their company in real time is gold. With Excel spreadsheets, the ability to view total cashflow can only be done at month’s end reporting, leaving owners in the dark from day-to-day on the realistic revenue they’re bringing in. Employee scheduling software is the only way to truly get an up-to-date look at money coming in and money going out of your business, in real time.The right employee scheduling software can integrate with almost any kind of POS system, as well as payroll systems. That way, you can view estimated shift costs and graph wages against expected sales, allowing you to quickly make adjustments to maximize profits. Managers have to deal with constant shift changes and shift swaps, making it a total chore to update employee schedules every few weeks. Most managers are stuck behind desks each week updating employee schedules and ensuring the changes are reflected in payroll processing systems. If numbers are even slightly off, be it a typo or a miscalculation, managers have to recalculate all over again or worse, employees are paid incorrectly. An employee management software actively keeps track of shift changes through clock-ins, clock-outs and schedule updates – leaving managers little to worry about when it comes to processing accurate payroll. What’s more, data from every payroll period is automatically stored, so if there is ever a dispute, managers and owners have automatic access to records and can quickly address the issue. For owners who operate multiple business locations, managing employee schedules can be a nightmare. This is especially true for managers who have the same team of employees to schedule at different locations interchangeably. Keeping track of where and when team members are scheduled to work using Excel is nearly impossible. Multiple Excel spreadsheets are required with hour counts for every employee. Scheduling an employee at the same time in different locations can easily occur. The right employee scheduling software eliminates that struggle. It ensures accuracy of all team member schedules, whether it’s one location or five. Managers can instantly see which employees are working and at what location, making shift changes easier and more accurate. Above all, scheduling conflicts can be totally avoided once team availability is integrated into each location. How do you track clock-ins and clock-outs? While you may trust your employees to work honestly for you, intentional or even accidental time theft is one of the biggest costs for businesses across the world. With a basic clock-in system, it is easy for companies to lose thousands of dollars a year. The right employee management system can use features like face recognition and geolocation capability to ensure the right person is clocking in and out on time, every time. Even if an employee works remotely, these features can ensure team members are working at the right place when they clock in, be on the way to pick up a delivery or at home. For businesses of all sizes, managing these reports are then automatically sent to a company’s integrated payroll system, automating the entire payroll processing seamlessly. If you use an Excel spreadsheet to manage your employee schedules, there’s a good chance your communication methods are also a bit out of date. Even using text messaging or emails can be a logistical nightmare. Further, employees can claim they ‘never got the memo’ when managers send an email or leave a note of tasks that need to be completed. Using an employee scheduling software allows for instant communication with the team, whether it’s an employee performance issue to be addressed one-on-one or an important memo that entire teams need to read. With Deputy, you can keep track of how many employees read important memos – try doing that with a sticky note! What’s more, both employees and managers can leave tasks and notes for the next shift regarding tasks that need to be completed or training that must be done. Few moments cause more anxiety and agitation for an employee than a performance review. For weeks leading up to it, employees work harder than usual, hoping managers take notice. Once the review is complete, employees are easily left discouraged at the fact that they’ve done something wrong for months. Worse, an employee’s bad habits may be tough to break, so they revert back to the old way they’ve completed tasks. For the manager, performance reviews bring added pressure to create a list of multiple things an employee is doing wrong over the past months or year and wracking your brain to find supporting examples. This takes time, frustration and in the end, rarely accomplishes the goal of improving employee performance. Today’s hourly paid employee is looking for feedback in the moment. If they’ve completed a task incorrectly, they want to know to day of, not six months later. In addition, they’ll appreciate and respect their managers who instantly recognize good performance on the spot. With Deputy’s Journals feature, you can quickly make notes of an employee’s performance in real time. Then, you can easily make reports to see how their performance varies over time. That way, you can make actionable decisions for better employee management in the moment, instead of waiting till the end of the year or mid-year to communicate good/bad behavior. Employees can see exactly what they are doing right and what needs to be improved, which eliminates the need for those dreaded annual reviews. One of the biggest pain points for business owners who use Excel to track employee schedules is being stuck behind a desk. Instead of growing the business and brand in the community or building relationships with suppliers and other local businesses, you are trapped making calculations at a computer. Being chained to a desk top also limits your availability to leave for vacation or holiday. You know you’ll likely need to handle various business issues and cannot do this without access to a desktop computer. Using a proper employee scheduling software enables business owners and managers to securely communicate and manage employees from anywhere using a laptop, tablet or smartphone. This kind of flexibility will give small business owners peace of mind that your business is running smoothly, no matter who is on staff. You may love your Excel spreadsheets, it’s how you’ve always operated, and maybe you don’t see the point of switching to a new system. Sure, it may take a few hours to create a new schedule, but learning a new program would be costly and take even more time than just sticking with what you know. And, of course, employees are already stressed enough as it is with their jobs; trying to implement an employee scheduling software would simply be unfair to them. While that is true for some software, Deputy is different. It is simple and intuitive to operate, yet rich in features and integrations. Employees are onboarded in minutes, and our simple interface helps users get up to speed instantly. Scheduling, communicating and performing nearly any other task becomes a breeze. Time is money, and with Deputy, you can save both while cutting your stress levels significantly. If Excel is like walking, then employee scheduling software is like driving a sports car. Both will get you where you need to go, but scheduling software will get you there much faster and easier. While you can input your schedule into a spreadsheet, then click over to another spreadsheet to track costs and revenue, Deputy software creates total visibility into employee schedules, changes and cash flow at multiple locations with one intuitive program. In fact, while you may spend up to eight hours a week on Excel spreadsheets, scheduling and other tasks takes just minutes with Deputy. You can spend less time worrying about getting a shift covered and more time working on what you love: growing your business. If you are ready to make the move to an employee scheduling software, look no further than Deputy. We were recently ranked No. 1 in Workforce Management and Employee Scheduling in GetApp Quarterly Report. Whether you have five employees or 5,000, our employee scheduling software can help you save time and money. Still not convinced? Sign up for a free demo today! The post Top 10 Things Timesheet Software Can Do That Excel Spreadsheets Can’t appeared first on Deputy. In today’s workforce, businesses with hourly paid employees have their own motivations as to why they are working at your company over a competitor. Today’s hourly paid employee wants to control their own schedule so they can be flexible to participate in their own hobbies, such as music, travel or their own small business. In fact, a large portion of Americans work multiple hourly jobs, whether it be out of necessity for a bigger paycheck or desire for flexibility. As a small business owner, it is vital that you recognize these needs and balance company priorities with the needs of your team. Good business owners know the secret to success is to put the employee first. Employee scheduling software can easily meet some of your team’s most pressing needs, such as saving time, reducing stress and empowering your employees, while also ensuring your business runs smoothly. Here are the top 6 ways an employee scheduling software can make life easier for your staff. When you have employees who work multiple jobs, you may have to create an entirely new schedule every week to meet their needs. Creating unique weekly schedules instead of having a relatively consistent one can add hours to your day in the office if you use a spreadsheet. But with the Deputy web app, creating schedules is as easy as dragging and dropping shifts. What’s more, employees can easily request time off and make shift swaps with their coworkers as needed. According to the Bureau of Labor Statistics, 7.8 million employees are now working multiple jobs, so enabling employees to quickly make changes to schedules is now more important than ever. If your employee is suddenly doubled booked with both jobs, or has an opening from their other job that they’d like to fill with hours at this one, they can quickly work out scheduling with other team members. Even getting the day off to take care of the kids on a snow day or taking the night to go to an impromptu social gathering is much easier with employee scheduling software. With employee scheduling software, your team can quickly get their posted schedules sent to their smartphones via app notifications, email or SMS. They can see upcoming schedules, make shift swaps with pre-approved employees and make time off requests in seconds. And if an employee calls in sick, managers can quickly find a replacement with Deputy’s intelligent Find a Replacement feature that considers overtime, penalty rates and salary costing. As the workforce gets younger and younger, they also get more tech-savvy. In a recent Nielsen survey, millennials ranked “technology use” as the most significant thing that makes their generation unique and 74 percent feel that new technology makes their lives easier. With Deputy’s time and attendance feature, employees can quickly clock in and out via the web and mobile app, SMS, tablet kiosk or Apple Watch. With mobile settings for geolocation tracking and face detection on the Deputy iPad kiosk, you easily capture when and where your people are working. And with a timeclock available virtually everywhere, your employees don’t have to waste time in the back getting clocked in and out. Communication is always a challenge for small business owners, yet it remains the most crucial piece to successful company growth. Providing an instant, mobile way for managers to communicate with their teams — and vice versa — ensures nothing is left to question. Deputy’s Newsfeed feature enables businesses to seamlessly communicate to a single person, small group, location or their entire business. Employees can get Newsfeed notifications via email or push notification. Attachments can be added and confirmations can be required, enabling businesses to drive compliance by ensuring important information is both communicated and received. It can be frustrating when an employee clocks in ready to work, then completes the wrong tasks and puts the whole team behind. Perhaps they didn’t realize the store was running low on croissants, or an order of blouses was ready to be shipped. For employees with multiple jobs, coming to the shop with no direction on what needs to be done can be especially jarring, especially for businesses who are suddenly busy and slow throughout the day. With Deputy’s tasking feature, you can keep track of business processes and procedures, all from your mobile device. Managers and employees themselves can create and assign tasks to complete within a timeframe and instantly get notified via push notification when they are done. Too often, employees of small businesses receive their checks, only to see that it is incorrect. Maybe the extra hours they worked that week weren’t recorded or schedules weren’t updated properly. Perhaps worse, they may have worked less than they were paid for, and therefore have to take a pay cut on the next check. Most of the time, this is due to improper clocking in/out or manager oversight. Deputy can integrate directly with payroll, so all hours worked are instantly and accurately recorded, and no employee is left confused (or disappointed) about the amount on their check. After employees clock in and out, Deputy creates timesheets for you to review, approve then and instantly export them to your payroll provider so your employee gets paid quickly and accurately. According to a recent survey from TriNet, 85 percent of millennial employee expressed they would feel more engaged in their current position if they could have more frequent performance conversations with their manager. Employees who are not in that age group can also benefit from real-time feedback regarding their performance. With the Deputy Journaling feature, you can quickly make notes on the performance of each employee in real time and create reports to see how the employee’s performance varies over time. This will enable actionable decisions for better employee management. Employees can get instant, private feedback when they’ve done something wrong, and receive public praise when their actions have greatly benefited the business. When employees are put first, they care much more about their job and care about customers, which translates into furthering the growth of your business. While there are many ways to ensure your employees are cared for, making it easy to clock in and out, manage their own schedules, and communicate with their team members is one of the easiest methods. Deputy offers an employee scheduling software that meets the demands of your tech-savvy, busy employees, all while making life easier for you as a business owner. Unsure if Deputy is right for you? Get a free 30 day trial of Deputy now to see how much our software can benefit your business. The post Top 6 Ways Employee Scheduling Software Makes Life Easier for Employees appeared first on Deputy. Phew! We’re blown away that it’s only one day until May. But that’s okay, because we’ve got some exciting updates to pave your way into the new month. Users in Vend can now be restricted to a chosen outlet or outlets. You can define the behaviour of your Quick Key folders. Before, folders would always close after a product was selected, but now you can choose whether they stay open or close. Loyalty balances are now updated to reflect the current sale in receipts. If you have a large number of open on-account sales, we’ve improved in-app performance and addressed issues where the app would freeze because of this. For those of you with Vantiv terminals, the payment information will now be included in the Vend sales receipts. And lastly if you’re using PayPal, we’ve fixed a bug where processing manual payments would cause delays and freezing. 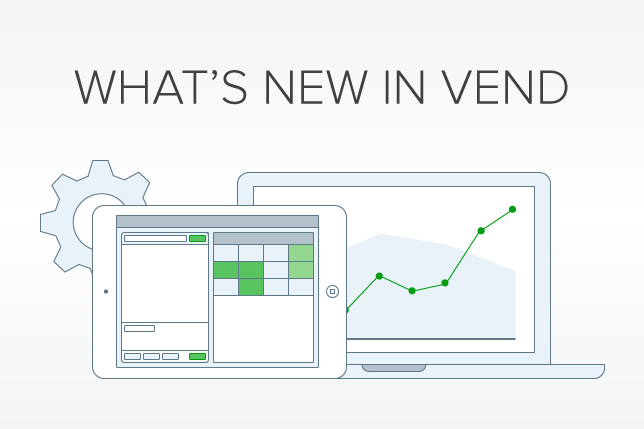 Want to make sure you’re getting the best version of Vend? 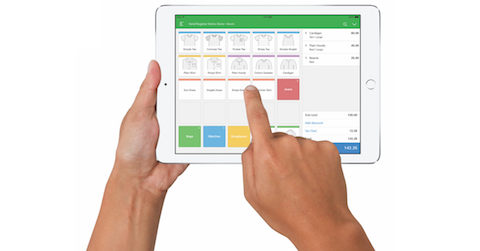 We’re always making improvements to Vend Register for iPad, so we highly recommend enabling automatic updates on your iPad. Just go to Settings > ‘iTunes & App Store’ > Automatic Downloads, and then turn on ‘Updates’. And we always love getting your feedback, it helps us make Vend better. Feel free to get in touch by email, Facebook or Twitter. User permissions improvements – where before you could only assign cashier and manager level users to either ONE or ALL outlets, users can now log into, run reports, and perform actions based on the outlet(s) that they’re assigned to – whether that’s one store or many. Customer CSV import validation – just like with product CSVs, we’ve now got import validation for customer CSVs too. Any upload errors will be singled out and you’ll be notified immediately, so uploading bulk customer details will be a whole lot faster and easier! Stock ordering – we’ve improved the email template that goes to suppliers when ordering stock. The clutter is cleared, and emails are now more consistent with your receipts. Vend U – we’re proud to announce the launch of three of our latest retail success courses. Watch them today on Vend U! 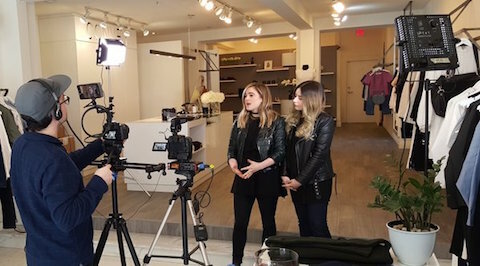 Outfitting, upselling and cross-selling – we’ve taken a look inside Shop Convey, a leading fashion boutique retailer, to examine their customer service, outfitting strategies, and sales techniques. Needs-based selling & customer service – we’re profiled Nitasha from the Cure Apothecary, a successful natural skincare boutique owner, who shares her top selling techniques and advice for amazing customer service. Stock control course – want to make managing your stock seamless? This course will look into easily making orders, performing stock transfers, counting stock, returning items and damaged goods, and much more. We also held our first Twitter Chat looking at ways retail stores can prepare for Mother’s Day, coming up for many of you on the 8th of May. It was a jam-packed session full of inventive ideas. Missed it? We put together a wrap-up blog post to get you Mother’s Day ready. Check it out. And in other news, the Help Center has had a makeover! So if you’re looking for a Vend-related help article, finding your way around should be a whole lot easier. And don’t forget, our support team is here to help 24/7 with anything you can’t quite find a solution to. The post What’s new in Vend: April appeared first on Vend Retail Blog. 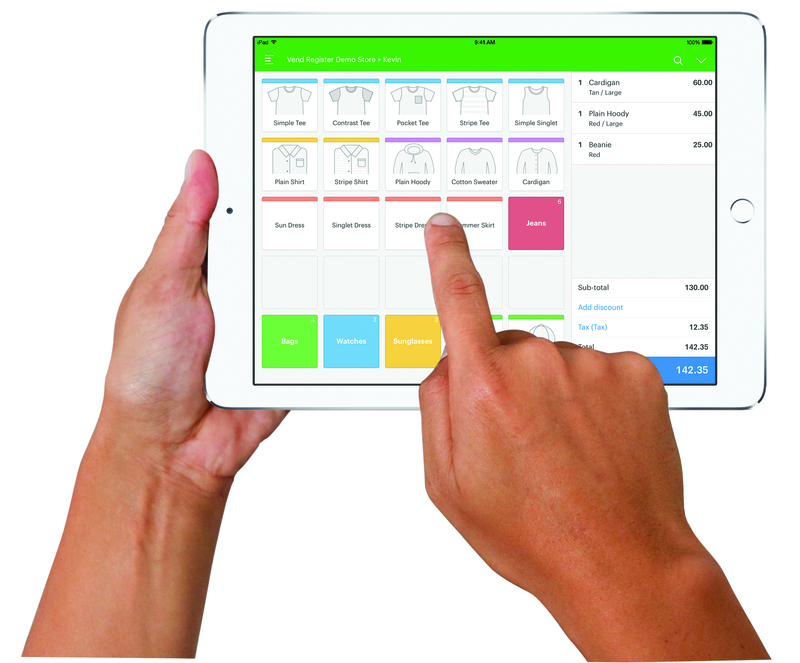 Is your in-store solution giving you the competitive edge needed to stay ahead? And exactly what features should you be looking out for? Read our infographic below and see if you can apply them to your retail business. 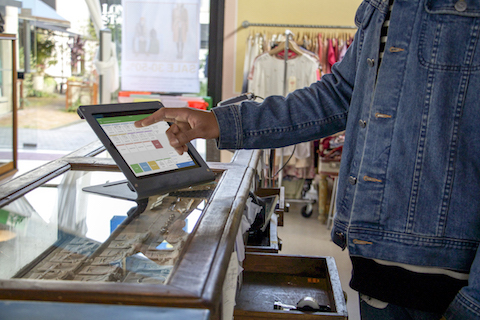 The post What to look for in a POS: Software Advice and Vend share their latest insights appeared first on Vend Retail Blog.